Last year around this time no one would have understood what you were talking about if you muttered the word PUBG. This weekend it was the most played game on Steam. 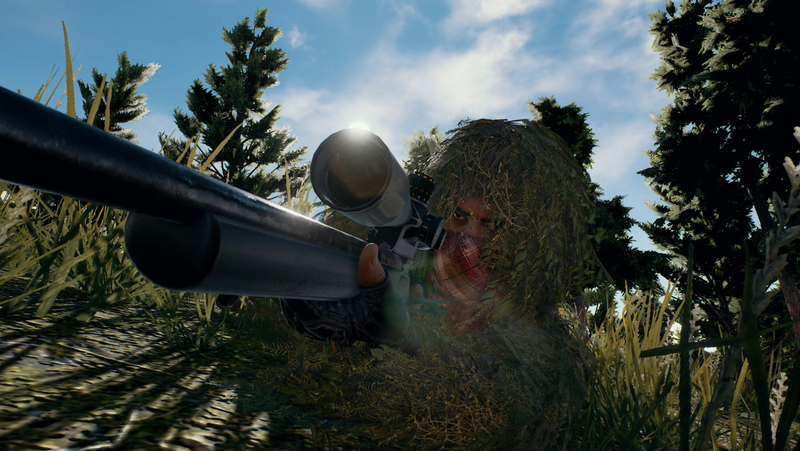 With a twenty four hour peak of just north of 870,000 concurrent players, PlayerUnknown’s Battlegrounds sat at the top of Steam’s “Current Player Count” chart, beating out both Valve’s Dota 2 and Counter-Strike: Global Offensive as well as GTA V and H1Z1. That peak was also enough for the mod-turned massively popular first-person-shooter to overtake CS:GO for the second highest player count of all time on the platform. The latter peaked with 850,485 concurrent players in April 2016. An Invitational for the game featured during Games Com might be at least partially responsible for the recent uptick in interest in the game. The four day competitive event was streamed on Twitch and led to a number of weird and surprising in-game moments that Battlegrounds has become known for. Earlier in the month, the game hit a landmark 600,000 concurrent players, gaining over 250,000 more in the last couple of weeks alone. The list of Steam games according to total current players for August 27, 2017. Dota 2 still holds the all-time record at a hefty 1,291,328 players back in March of last year, but Battleground’s meteoric rise up the charts remains impressively shocking, especially for a battle royale-style game that can be traced back to an ARMA 2 mod. Both Dota 2 and CS:GO meanwhile have been around for years and enjoy the full support of Valve, which owns and operates Steam, while Brendan “PlayerUnknown” Greene’s Battlegrounds was only revealed last summer. During that time the game has sold over 8 million copies. And it’s not even technically out yet, with a possible official release date sometime late this year. Until then, it remains in Early Access. Currently only available on PC, Battlegrounds is also slated to arrive on Xbox One as part of the console’s Game Preview program later this year.